A new app for autistic adults has been made available this week. Molehill Mountain, launched this week, has been billed as the first evidence-led smartphone app aiming to help autistic adults understand and self-manage their own anxiety. "Many autistic people have a real affinity with tech and our autistic testers and developers told us that personalisation was important, so an app seemed like the perfect solution." The app has been developed by UK research charity Autistica and researchers at King’s College London with input from autistic people. Molehill Mountain will launch as part of a digital learning package on anxiety and autism which includes an email course and supporting web content. Research studies show that 40-50 percent of autistic people suffer with anxiety disorders – vastly higher rates than in non-autistic people. Helping people understand the causes of anxiety and the reasons for their symptoms is key to managing it better. Molehill Mountain is based on Cognitive Behaviour Therapy (CBT) approaches adapted for autistic people. It builds on the latest research into anxiety in autism and puts these techniques into the hands of autistic adults across the UK. 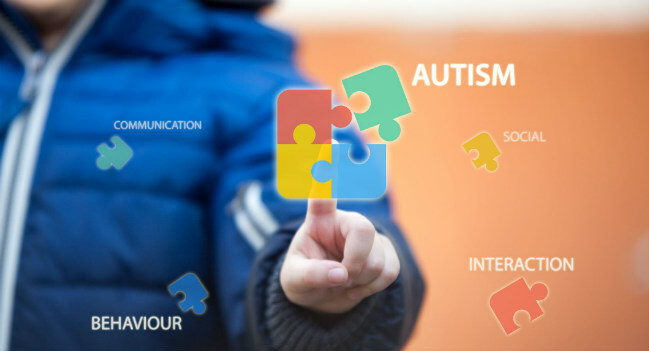 The app originated from a 'hackathon' (design competition) held at Deutsche Bank when Autistica was one of its Charities of the Year in 2016-17. More than 150 of the bank’s technology and design experts competed to develop a prototype, with all coding created donated to Autistica. It has also received funding from the Maudsley Charity the ‘Worshipful Company of Information Technologists’ Charity and The Pixel Fund. Jon Spiers, Chief Executive at Autistica, explained: "Too often autistic people receive inappropriate anxiety support and sometimes they’re unable to access any support at all." "We wanted to offer something practical that can be used whenever and wherever it’s needed. Many autistic people have a real affinity with tech and our autistic testers and developers told us that personalisation was important, so an app seemed like the perfect solution." Molehill Mountain gets users to track their worries and how they’re feeling through a quick dailycheck-in. The user is prompted to open the app to play Molehill Mountain, an activity designed to identify and capture any worries. Completing the activity unlocks a daily tip about anxiety and autism. The user is then asked three simple questions about their day and given the option to add more context to a daily diary. At each check-in, the user tracks their progress up Molehill Mountain and reviews their stats, tips and diary entries through a dashboard. The app delivers its programme over 14 check-ins but can be used for longer. Users can also share their progress with a trusted supporter. Despite high potential and interest for clinical mental health apps, research suggests that many fail because of low engagement levels. Users report that these apps are often unhelpful, don’t address their problems or feel insecure or untrustworthy. Autistica and King’s College London say they worked closely with autistic people and developers to ensure that Molehill Mountain is easy to use, engaging, relevant and secure. Amy said: "I enjoyed getting involved - it is great to have my needs heard. I am pleased that research is being used to create a practical tool to help people like me cope better in everyday life." The team are taking an iterative approach to developing Molehill Mountain. They will continue to test and learn with users of the app to plan new features and other improvements. Professor Emily Simonoff from the Institute of Psychiatry, Psychology & Neuroscience at King’s College London worked on the anxiety research that formed the basis of the app: "We based the content of Molehill Mountain on adapted cognitive-behavioural therapy (CBT) principles, as there is good evidence that CBT can help to reduce anxiety symptoms in people with autism." "It is not clear yet how effective Molehill Mountain will be for helping people to manage their anxiety, but we will be following a group of users to see how they get on."